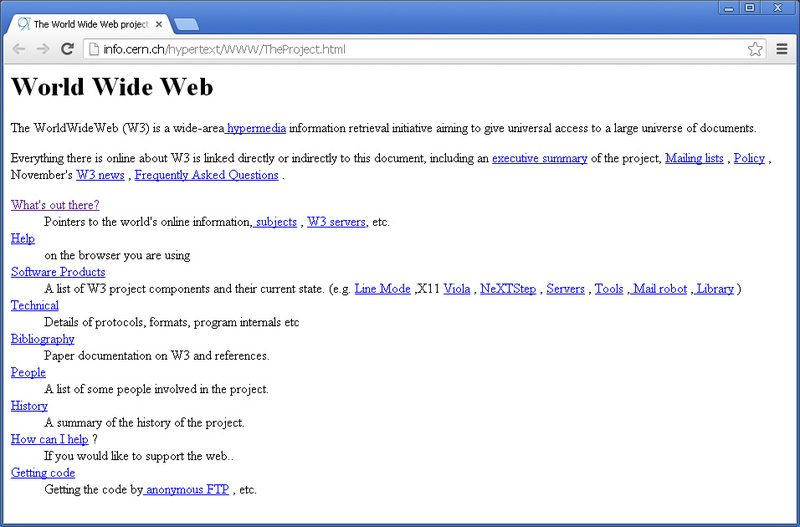 The world's first web page. 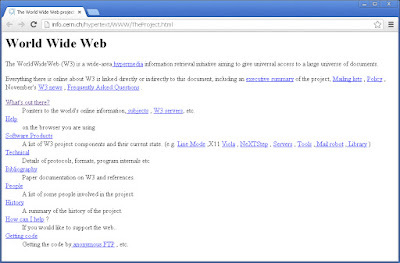 Twenty-five years ago today, the World Wide Web was born. Now August 23 is now called “Internaut Day,” a name that combines “Internet” and “astronaut,” as early technical Internet users were called. Since the Web is so ubiquitous today, it is hard to remember that it is really a young technology. 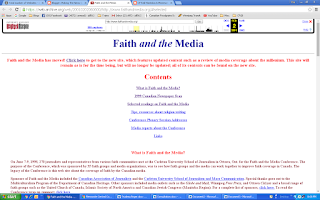 Together Ryan Rempel, a creative and inventive friend, I created my first website in 1994. It was for my employer at the time, Mennonite Central Committee. At the time there were 2,738 websites—in the world. Today there are over a billion. I still remember colleagues wondering who would ever want to go on a computer to find information—what good could it be? I also remember going to a technology conference about this new thing called World Wide Web. To demonstrate how it worked, the presenter used overhead slides. He put up on slide, pretended to click a button, then replaced it with another slide to show how the Web would work. 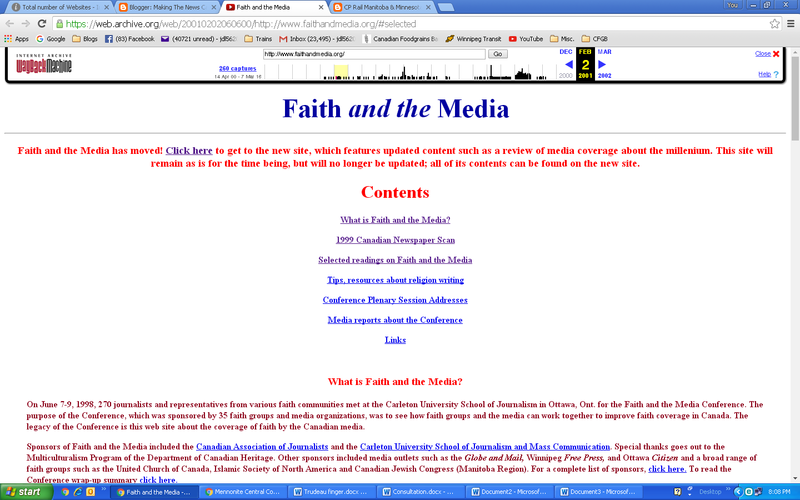 I created another website in 1997 for a national Faith and Media conference I was organizing. To make it, I learned HTML code—everything on it was created manually. That sentiment is echoed by Chad Millman, ESPN's new vice president and editorial director for domestic digital content. According to Millman, for ESPN "mobile is everything. We always have to be thinking about mobile first. If we’re thinking about anything else, we’re failing the audience." Fun fact: Model Railroading played a role in the invention of the Web. Berners-Lee, as it turns out, enjoyed trains a young boy, tinkering with the electronics. He went on to build his own computer out of an old TV, study physics at Oxford and then, in 1989, laid out his vision for what would become the World Wide Web. 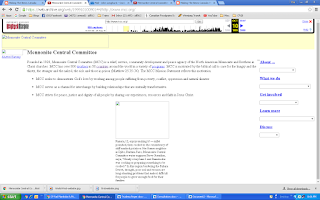 So, once again, happy anniversary World Wide Web!